Dear Mama: We often dream FOR our children. What if we dreamed WITH our children? What if we discovered who they are instead of trying to determine who they should become? What if we allowed them to dance outside the box no matter how much it scared us? What if we let our children be free? Our intention is to share how our personal journeys towards freedom impacted our parenting and inspire you to begin to parent from a place from freedom and not fear. As Black mothers we KNOW it’s difficult which is why the discussion is so necessary. 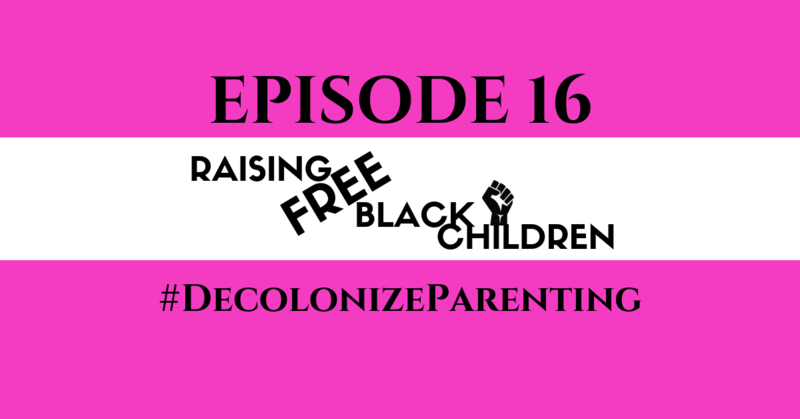 Be sure to tag us on social media when sharing the episode and use the hashtag #DecolonizeParenting. Let’s get free yall! S/o to Yara Imani for a DBM deal. They are offering 20% off of all purses with the code DEMBLACKMAMAS. Yara Imani is an online marketplace, founded by Alana Sutton, to increase the accessibility and appreciation of African inspired products made by Africans on the continent and across the diaspora. If you’re listening on iTunes, please rate us and if you have a little more time please leave a review. You can also give us a review on Facebook. If you’re listening on SoundCloud your comments are welcomed and tap the heart if you liked the show and if you really like it repost. Follow us on all social media platforms (links below) @demblackmamas. If you’re feelin this episode we ask that you share, RT or repost but if you’re not big on sharing on social media, just share with one person who you feel can benefit from listening . As always you can DM, email us at demblackmamas@gmail.com or hit us up through our contact page with your thoughts, questions or to just show us some love. We love hearing from you!